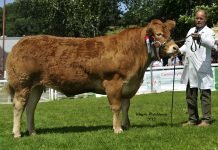 Eighty two herds representing 2605 calves claimed financial support through the first year of the British Limousin Cattle Society’s Herd Health Initiative. As a result, the Society paid out over £5000 in total to participating herds in 2005. Financial support to the level of £100,000 has been made available, initially over a four year period, as an encouragement to Limousin Society members who are making an investment in long-term herd health assurance. 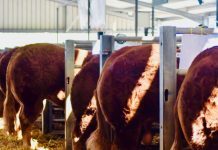 Monies have been paid back to participating members through a ‘cash-back’ scheme based on the number of individual herd registrations per annum lodged with the Society. To be eligible, pedigree herds have to be demonstrably within, and adhering to the terms of, a Cattle Health Certification Standards, or CHeCS, approved animal health scheme to include a whole herd Johne’s test. CHeCS is a self-regulatory body for Cattle Health Schemes in the UK and licence holders include Premium Cattle Health Scheme, HI Health and Herdcare. Herds are able to claim in each year of the initiative that they participate in and new herds can join at any time and claim from that year onwards in accordance with the outlined criteria. The significant financial commitment to herd health is a principal part in the Society’s ongoing technical drive to provide breeders and customers with cattle that combine the highest visual and genetic quality with an assured high health status. 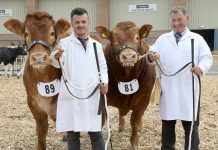 Commenting on the first year of the initiative, Aled Edwards, Chairman of the British Limousin Cattle Society said, “From a standing start, the first year’s participation is extremely encouraging. 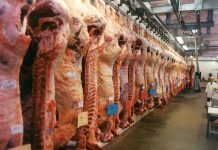 This is step one in what is very much a long-term initiative and one that has been widely welcomed by the agricultural industry as an important and leading project for the promotion of responsible Herd Health management”. 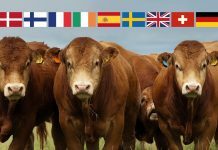 The Limousin Herd Health Initiative is indicative of the Society’s aim to provide high level, added value projects and services, with a commitment to invest heavily in initiatives that reward good practice in the management and promotion of Limousin herds and the Limousin breed.